Hi All sorry for no posting more often recently but real life gets in the way sometimes. Anyhow today’s post is just a bit of fun to see what was possible using different images to get a more complete in-focus image. Typical me, didn’t exactly choose the best or easiest of subjects but the idea works and I happen to like the funky results. 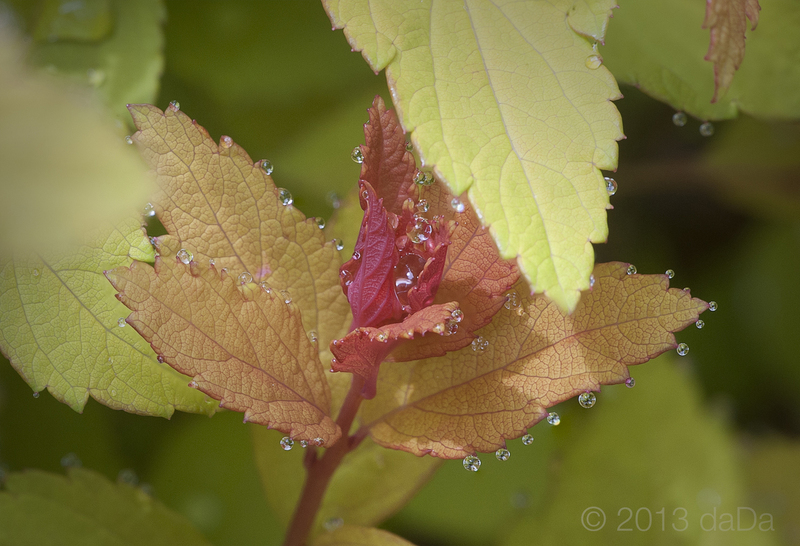 So what we have – 5 images focused on different parts of the leafs, each at different depth, from back to front. These are then opened as a series of layers in photoshop, blended to align, then blended again to focus stack. All harmless fun, will need to play with it a bit more, but overall the result is quite pleasing!